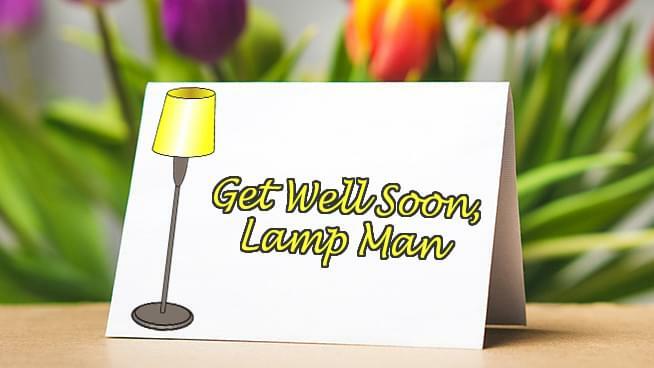 As you probably have heard, Ricky Hite, better known as “Lamp Man”, was involved in a hit-and-run accident last week in Topeka. As of today, there is no word on his condition. There has been a huge outpouring of support for him. Many people have wished Ricky well on the Topeka Police Scanner Facebook page. Now, you can also wish him well in his recovery. We are asking people to drop off cards of support to Cumulus Topeka Starting on January 2nd, drop off a card or letter or anything that is appropriate to our offices located at 825 S Kansas in Downtown Topeka. We are open from 9 AM till 5 PM Monday through Thursday and 9 AM till 2 PM on Friday’s. We will then drop off your support to the hospital so he can receive them. If we get word of his condition, we will update you as soon as we can.